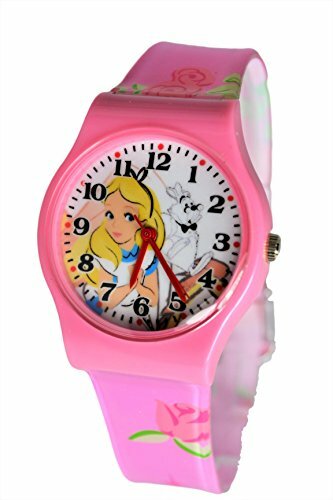 Pink Alice & White Rabbit watch for children. 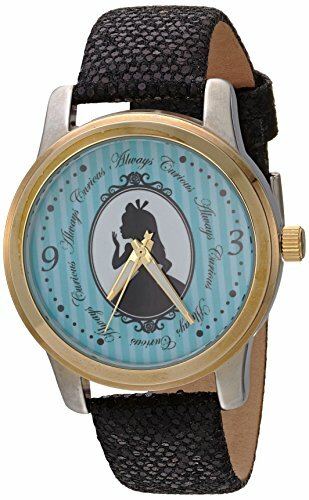 Disney Alice In Wonderland Wrist Watch For Children. Large Analog Display. WITHSTANDS RAIN AND SPLASHES OF WATER BUT NOT SHOWERING OR SUBMERSION. JAPAN QUARTZ MOVEMENT, ANALOG DISPLAY. WITHSTANDS RAIN AND SPLASHES OF WATER BUT NOT SHOWERING OR SUBMERSION. 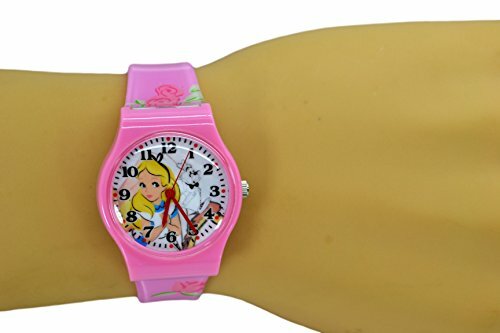 Cheshire Cat watch with silicone strap. By pushing the hidden button on the face of the watch, the time lights up! Pocket watch with White Rabbit design, surrounded by quotes. 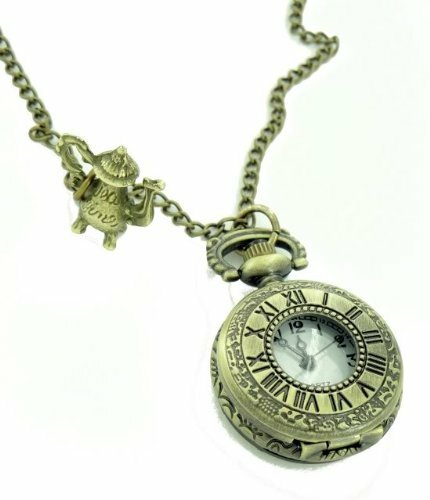 Pocket watch with Alice in Wonderland characters and items on the front. Also comes with a necklace that has a Cheshire Cat pendant.